It’s finally here, my eBook – Blog to Book. I will be guest posting a bit around the place to coincide with the launch of my eBook, so you might see it mentioned on different blogs. I speak at different conferences on going from blog to book a fair bit now. If you are a blogger and want to take things to the next level and become an author, then this is the eBook you need! I cover everything about the process from getting your blog ready and pitching your book, right through to the contract process and marketing it once it is published. I also touch on mainstream vs self publishing. 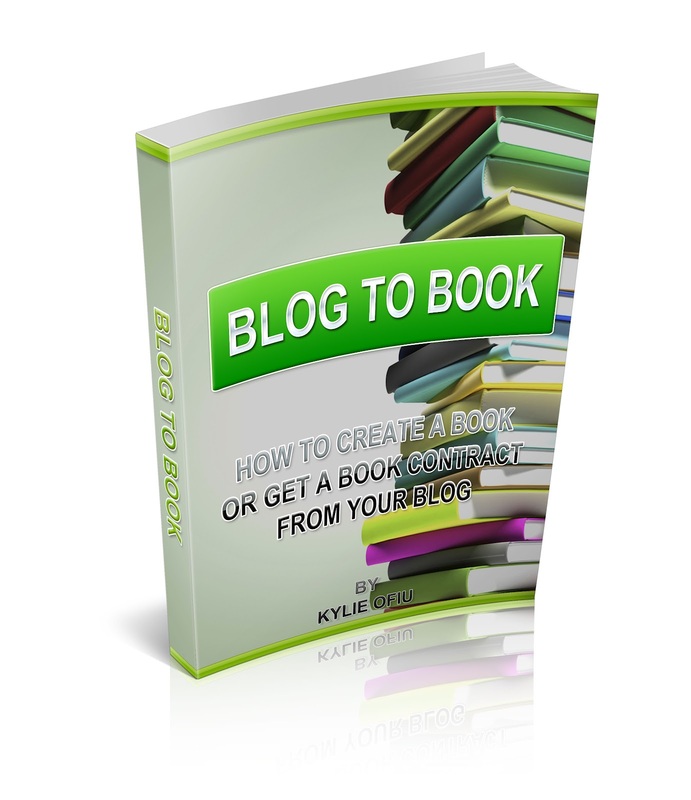 Blog to Book has everything you need to know about going form blog to book. My book 365 Ways To Make Money came from my blog and more and more bloggers are becoming authors as well through posts they have written on their blogs. Blogs are a fantastic platform to launch a book with and publishers know this. You have an audience already. You are on social media such as Facebook and twitter, you have a following and a connection with the people who follow you. This makes marketing a book so much easier. So what is in Blog to Book that you can’t get elsewhere? Aside from personal experience and advice, I have resources such as the publishers who are working with bloggers now and exactly what you need to do. Here’s the contents outlined for you. As you can see, Blog To Book covers everything and is the tool you need to help you get a book contract and go from blog to book. So what are you waiting for? Check it out now. If you are interested in becoming an affiliate, you can do so through ejunkie and get 50% of the sale price! Click here to sign up. Congratulations on the new book. I'm not looking to create an eBook just yet but maybe in the near future. Would I need to produce new content or simply rehash and dress up my existing content?